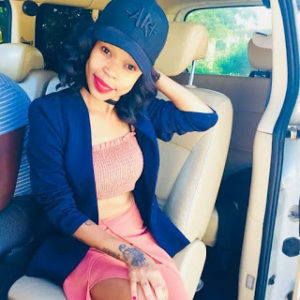 Fifi Cooper is a South African artist who is known for her versatility when it comes to music. She Started her career as an R&B singer and then switched to rap in 2010 via her breakthrough single Chechella Morao. Fifi Cooper whose real name is Refilwe Boingotlo Moeketsi was born on 27 October 1991 in Montshiwa, Mahikeng, North West, South Africa. She was the last of three children and a mother with one son named Resego. Fifi Cooper was born on the 27th of October 1991. As of 2018, she is 27 years. Fifi Cooper started her education in Montshiwa, Mahikeng and later went on to finish her secondary education Batswana High School Mahikeng. After her secondary education in Batswana High School, she went on to study media at Boston Media House. Although Fifi started singing as early as when she was eight years, she professionally started her career in 2008 with a special appearance on Mo’Molemi’s Motzamai: Rebel With a Pause album. Her breakthrough in the music industry came in 2010 with the release of her single “Chechella Morao”, this earned her a vocal appearance in the remix of AKA’s “Baddest Remix” single, Mo’Molemi’s album titled Asia, Khuli Chana’s Lost in Time and Lection’s Gentlemen’s Club. She signed a recording contract with Ambitiouz Entertainment in 2015, and as such she released an AB Crazy-produced song titled “Kisses”. The music video for “Kisses” was directed by Dino Benedetti and was released on Youtube on 24 May 2015. In that same year, Fifi released her debut album which earned her three awards and two nominations. She currently has a record label, which she named MoCooper Records after she left Ambitiouz Entertainment in 2017.